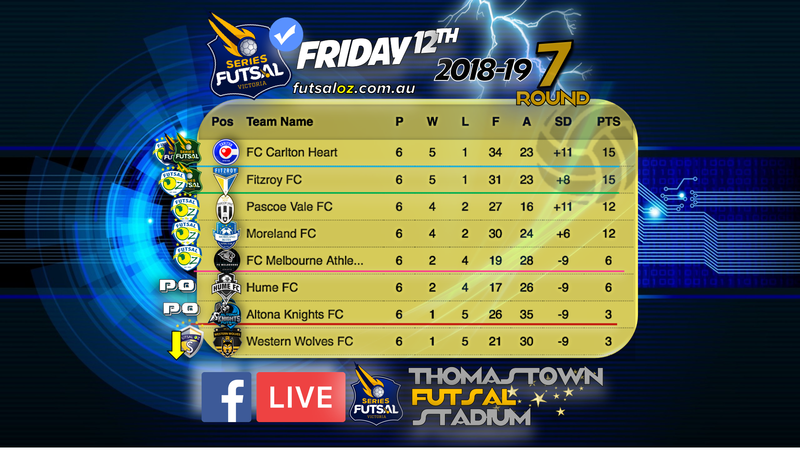 Our first game of the night was the game of the round as top of the table Carlton Heart took on fourth placed Pascoe Vale. 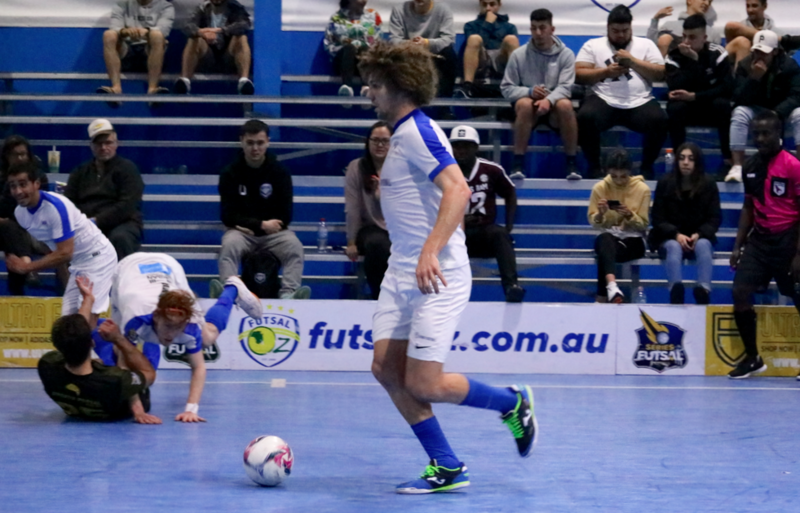 With both sides in form a good start was key for both and Carlton got the start they were after as Ernie Simsek struck from a corner low into the bottom corner past Felipe Bley to give Carlton the lead. Before the restart Brenno Polatti of Pascoe Vale was sent of for wearing a piece of jewellery leaving Pascoe down a man early. There were plenty of first half chances but neither could add to the Simsek strike with both keepers performing well and it was just one goal separating the pair at the break. Early in the second half Pascoe Vale drew level as Gerardo Soto tapped home at the back post after some great work from Andre Caro to tee him up. Pascoe then took the lead after another lovely ball from Caro found Alisson Lima Da Rossa who tapped them into the lead. Carlton wouldn’t lay down though after a stunning volley from Simsek found the net for his second of the game to restore parody. Pascoe would put themselves ahead once again after some more good work from Caro saw him set up Joao Da Silva who tapped home to give his side a 3-2 lead. With time running out Carlton’s fighting spirit shone through as Hauser struck a bullet into the bottom corner off the post and in to tie the game with under two minutes to play. It was Pascoe’s night though as Caro hit the post with a header before pressuring the loose the ball and winning it back to tee up Soto who tapped home his second to seal a memorable win for the Lions as they put themselves back in the title race. Next up saw Melbourne needing the points face title hopefuls Moreland. Early on Moreland struck through a Jason Barrientos strike which crept in at the near post to open the scoring, and that would be the only goal of the first half as the Blues held a slender lead. Moreland would double the advantage early in the second half as a lovely ball from Kui Mu who had just entered the game, found Barrientos at the back post as he tapped home his second of the game. Melbourne pulled a goal back as Rasoul Bahmani struck on the turn from a good throw from Adrian Alonso, but Melbourne let another slip soon after with Jordan Constan cutting a ball back for Josh Allen to tap in and restore the two goal buffer. 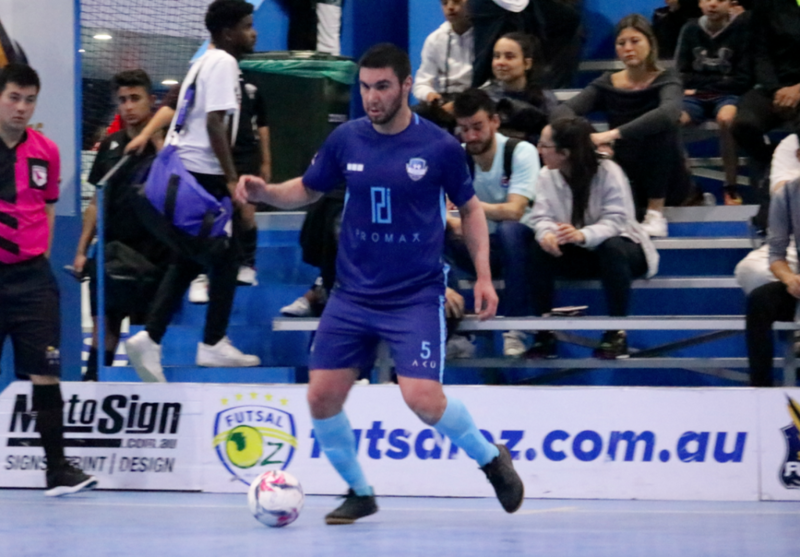 Another counter attack was finished off by Constan to all but kill off the game, before Atay Ibrahim found Abdirahman Ahmed at the back post who tapped home to seal a routine win for the Blues. 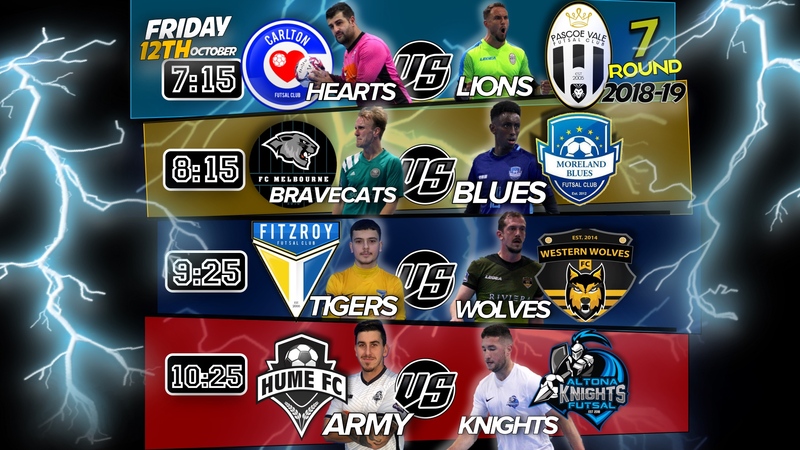 Next up on the card we saw title hopefuls Fitzroy face a Western Wolves side who were bottom of the table and desperate for the points. Early on it was the Tigers in control and they made good on their early dominance as Ben Monteleone raced away and found the net to open the scoring. The Wolves pegged it back after a long throw in found Frigi Rayane controlled it and finished on the turn to level the scores. Fitzroy would again take the lead after a turnover at the back was finished off by youngster Elias Parthimos to restore the advantage, before Corey Sewell struck with a header to give the Tigers some breathing space. Another youngster Harry Robotis found the net shortly after, being afforded too much time and space, before Some good work by Scott Rogan saw Robotis tap home on the line to see the Tigers take a 5-1 lead into the break. Fitzroy began the second half in the same fashion as the first as Corey Sewell rocketed one home from a corner to all but kill off any chance of a come back. 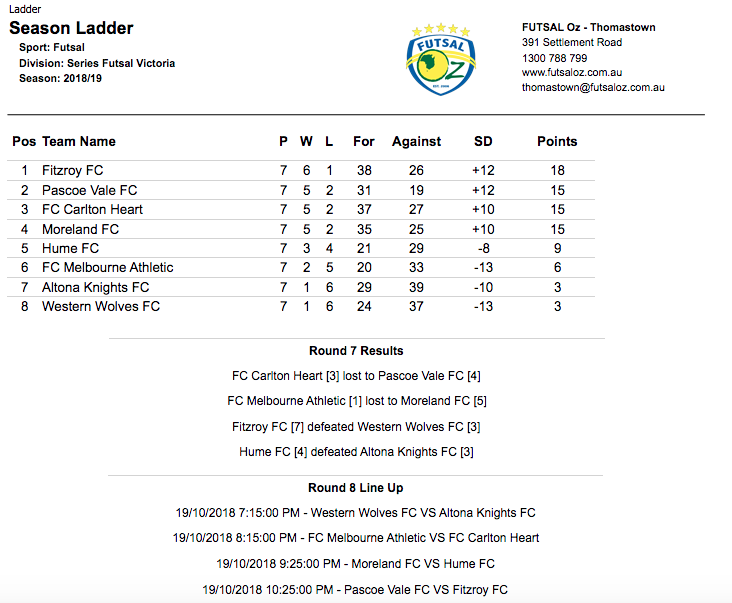 The final game of the night saw Hume take on Altona Knights as both sides sat in the relegation zone and were in desperate need of the points. 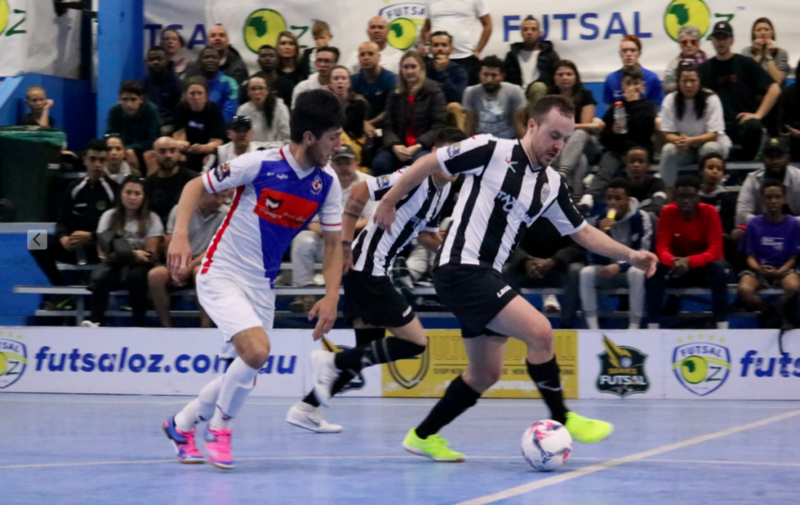 Hume struck first as Moe Matar cut onto his left foot and finished into the bottom corner, before some fantastic pressure from Mario Petrovic forced Frano Saric into error as he doubled the advantage. Resit Culculoglu had his initial effort saved before following up to finish and make it three as Hume were right on top. Some good play from Altona saw Jayden Merceica pull a goal back to remain a chance, but an own goal from Tony Saric had the Knights in trouble trailing 4-1 at the break. 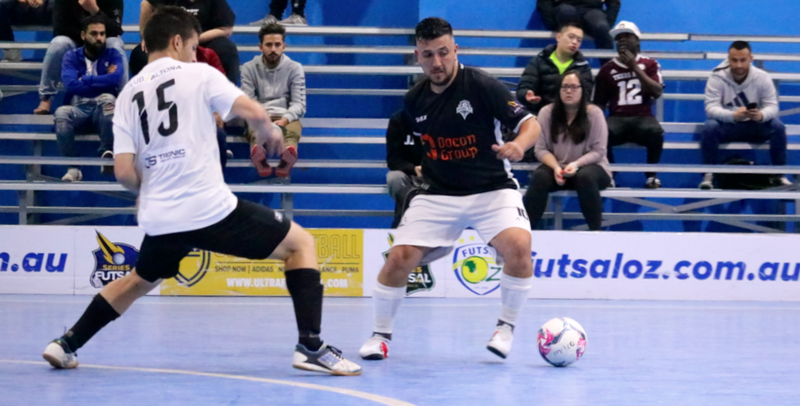 The goals dried up in the second half until late in the piece when the Knights deployed the fifth man tactic which paid dividend as Merceica finished at the back post to give his side hope. 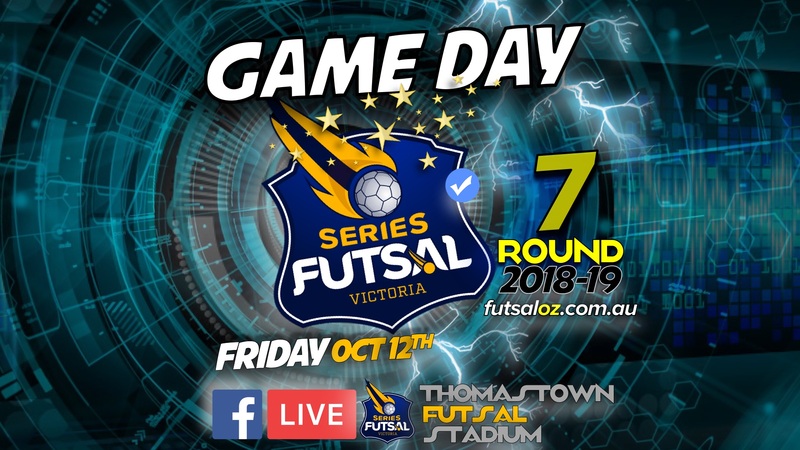 Tony Saric then won the ball and slotted home another to set up a grand stand finish but they would fall just short as Hume hung on for a crucial three points.